This time we're pointing you towards a useful free tool worth trying if you're struggling with your mixdown balance. Inspired by the work of Fletcher and Munson, who measured the ears frequency response at different loudness points and created an average curve. What this means is that at lower volumes the mid-range frequencies appear much more prominent so often you'll hear mixes that are too bright and too bassy because of this effect. 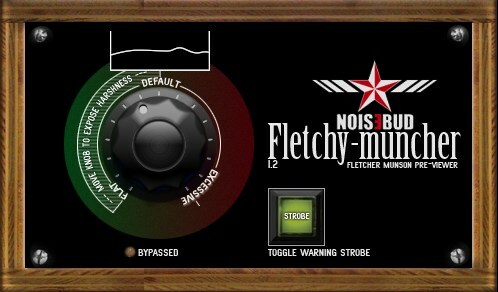 This plugin can help mask that effect during your mix and help you test your mix to make sure it stays well-balanced all the way through from the default to the excessive settings. But remember it's an A/B tool not an actual processor as such, so you'll want to switch the plugin off your master output before you bounce your track to avoid any confusion. Free download at the link below, with the option to donate too.